A Daughter’s Tribute | ¡Marianísima! In honor of Mother’s Day, I present one of my all-time favorite pictures of my mom, from a Christmas Party in 1970. 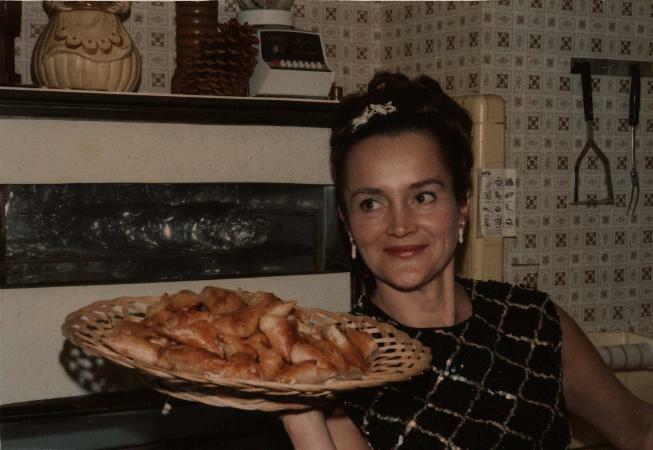 She loved to entertain, and those are homemade tiropitas (yum!). 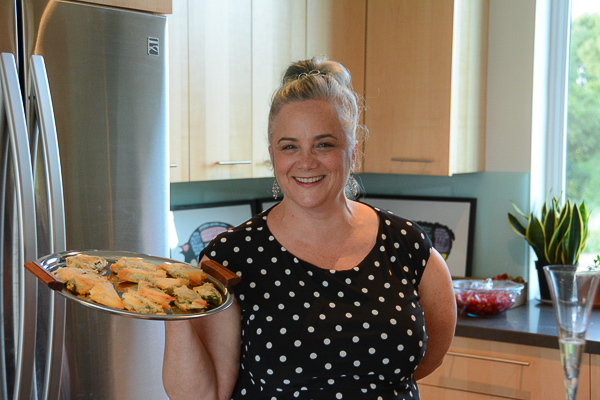 We had a dinner party recently, and I decided to pay homage to this photo. Mom would’ve been disappointed with my store-bought appetizers, but she would’ve loved that we’re entertaining friends and she’d have loved our new place — especially when critters walk by the windows.